MDM Landscapes is happy to install fill dirt and do any necessary grading (leveling or sloping) to ensure your desired elevation is met as accurately as possible, and without any sudden changes. 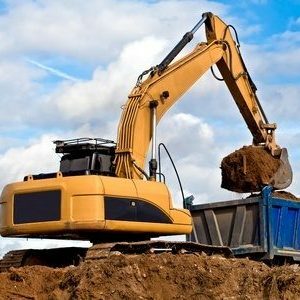 If you need dirt work and fill dirt in Dallas-Fort Worth, TX, call us today at 817-396-0125. Fill dirt is earthen material, not typically fertile soil used for planting, but rather subsoil and parent material. Used to fill in holes or depressions, or to create artificial changes in elevation or grade (such as a mound or hill), fill dirt is a necessary component of many landscape designs. It is usually taken from places where the soil is being removed to level an area, such as for new construction, and it may also contain rocks, stones, or sand. The inconsistent nature of one batch of fill dirt compared to the next makes it unsuitable for most growing applications, but great as a layer beneath fertile soil to help ensure proper aesthetics. Dirt work in DFW can also be used to create structures such as ridges to help break up a level area, giving more interesting looks to a landscape, and can be used to build up areas around pools or waterfalls as well. Fill dirt is kept as free of organic material as possible, as decaying organic matter can create empty pockets within the fill dirt, which could lead to noticeable settling on the surface. Any structures built on these areas could experience damage if settling is extensive enough. Fill dirt is commonly seen in use on the shoulders of highways, where it can help build up the level of the soil on the side of the road to match the elevation of the road, providing a smooth transition onto the shoulder and widening the area enough for cars to pull over if necessary. It can also be seen on construction sites, filling in lower depressions to allow for level foundations. It can also help reduce the likelihood of flooding in the future. Fill dirt is used in airport expansions around the world, providing new runways and terminal locations, and it’s being used extensively in the New Osaka Airport off the coast of Japan to help create a 5 square kilometer man-made island. If you need any help with existing fill dirt or are looking for new fill dirt to be placed on your commercial property, apartment complex, or whole residential development landscape, please call MDM Landscapes today at 817-396-0125 for landscape services or design! We are happy to provide dirt work and fill dirt in Dallas-Fort Worth, TX as well as the surrounding areas of DFW. Updated on March 6, 2019 at 5:50 pm by MDM Landscapes.